1. The nightlife is legit. 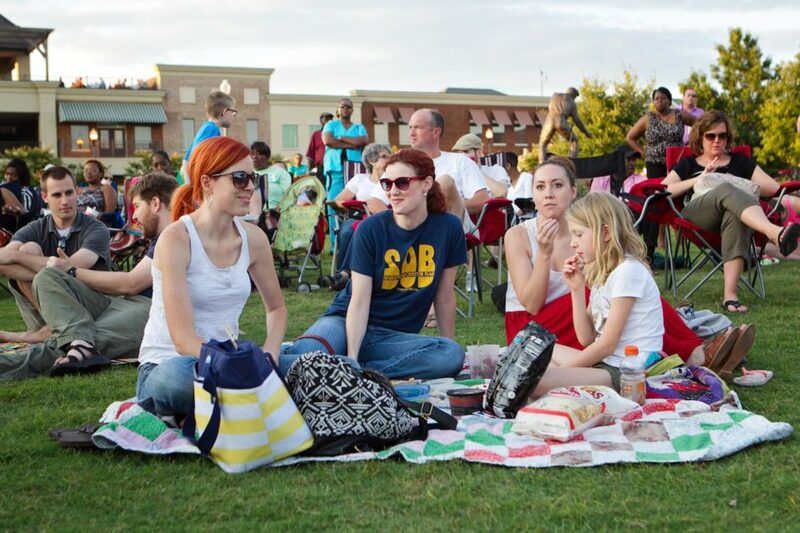 In Tupelo, you can find live music every night of the week if you know where to look. Mississippi prides itself on being the birthplace of American music styles like the Blues (and, you know, Elvis! ), and it’s still producing soulful talent today. Live music venues like the Blue Canoe, with its relaxed atmosphere and long beer list (like, seriously lo-ong), host musicians nightly. The BancorpSouth Arena attracts national concert tours on a regular basis, and you can — and should — check if Tupelo Community Theatre is currently staging any productions at the historic Lyric Theatre. Tip: Tupelo’s taps feature labels from the best Mississippi breweries and beyond. If you’re a fan, look for the annual Tupelo Ale Trail event, a progressive craft beer tasting route with stops throughout Downtown Tupelo. 2. You’ll get face-to-face with the national mammal of the United States. American bison — you might know them as buffalo — once roamed our country in massive, awe-inspiring herds. In Tupelo, they still do. 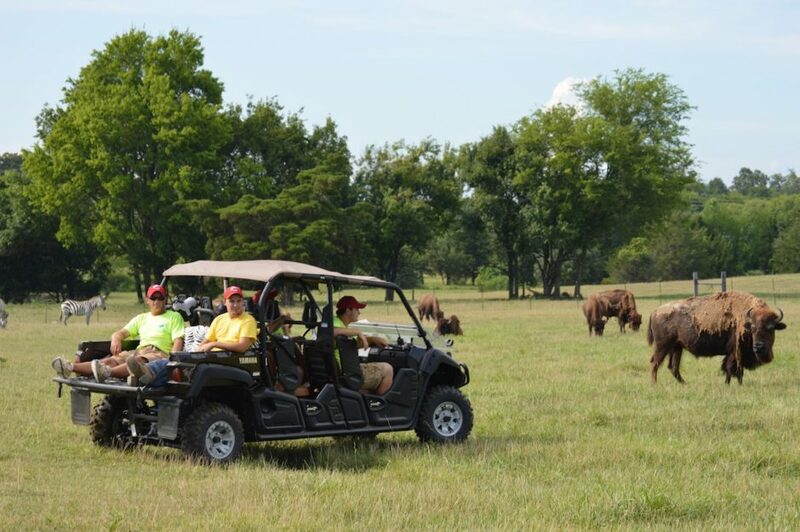 True, the herd at the 200-acre Tupelo Buffalo Park and Zoo isn’t exactly roaming the endless plains, but they’re living happily as part of a population assembled by owner Dan Franklin, which got its start back when the area was still a cattle ranch. In 2001, Franklin’s herd had grown so impressive that he officially opened it to the public as the buffalo park. Today, you can take a guided tour or a pony ride, visit the petting zoo, and play on ziplines and playgrounds. But the bison aren’t the only draw. The Buffalo Park and Zoo is also home to other exotic animals, including zebras, an African lion, lemurs, camels, yaks, and reptiles. A capuchin monkey named Oliver also lives here — when he’s not making daring, headline-grabbing escapes. 3. It’s the ultimate stop to pay homage to the King. 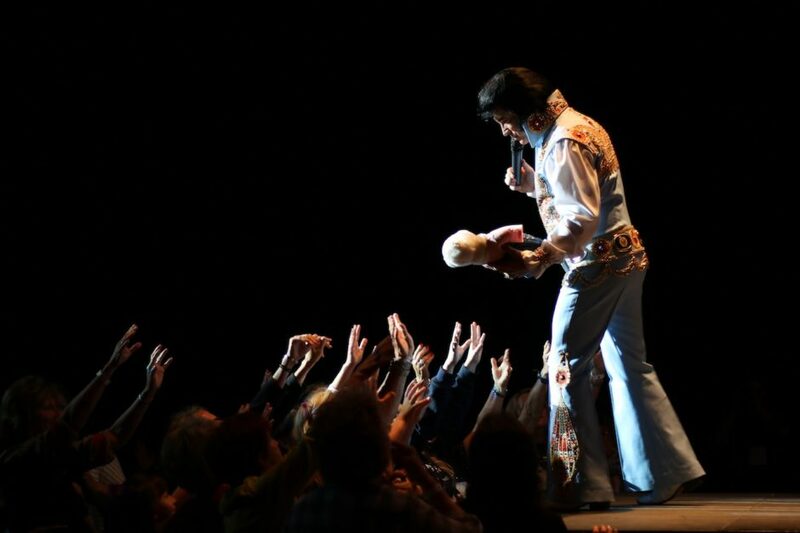 Sure, Graceland’s great, but Tupelo is the place all Elvis fans need to be. This is where the King was born and where he learned to play guitar. In honor of this pedigree, the city hosts an annual Elvis Festival that’s a rocking — and raucous — good time. The Ultimate Elvis Tribute Artist Contest is an awesome chance to watch talented artists of all kinds try to fill the famous bedazzled jumpsuit, but there’s also a 5K run, gospel concert, and after-party. The full fan tour should also include a stop at the Elvis Presley Birthplace and Museum, the Elvis Presley Homecoming Statue, and Tupelo Hardware Company — the store where Presley’s mama famously bought his first guitar. Southern fare is known for being deliciously simple, but Tupelo’s restaurants are introducing new takes on the classics while still staying true to those seriously tasty roots. 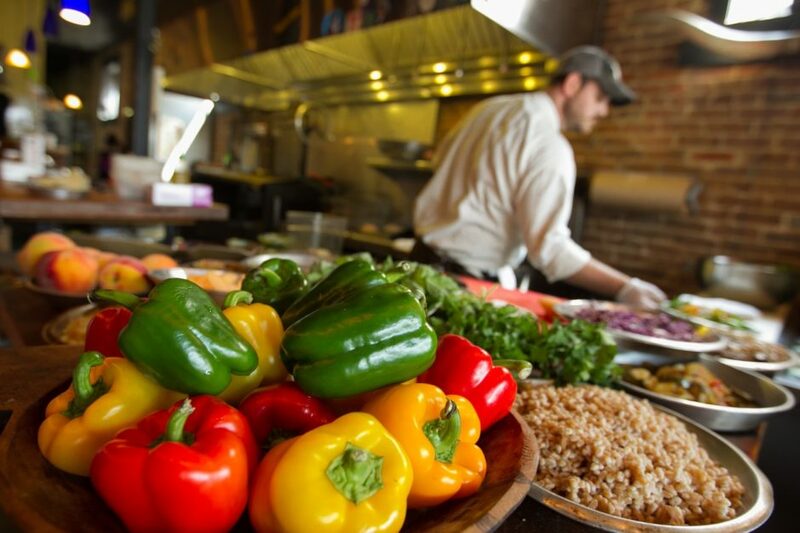 Spots like the Neon Pig, Kermit’s Outlaw Kitchen, and Harvey’s have garnered national attention, hosted events with James Beard Award-winning chefs, and generally made a name for the Tupelo restaurant scene. The Neon Pig’s “Smash Burger” grabbed the title of Best Burger in a nationwide ranking by Thrillist in 2015. And Harvey’s has taken the Southern classic, pimento cheese, and pushed it to the next level — a pimento and crawfish cheese dip — and transformed “chicken & fixins” into so much more than the original, by cooking it in a wood-fired grill and topping it with barbecue sauce, smoked ham, and melted Monterey Jack. Just don’t forget the bread pudding. 5. There are awesome options for getting outside. Tupelo is a pretty incredible place to get out into the great outdoors. At Rob Leake City Park, Veterans Park, Ballard Park, and a dozen other parks within city limits, you’ll find people playing basketball, baseball, disc golf, and tennis — or just going for a morning run. Nearby Trace State Park — one of Davy Crockett’s old stomping grounds — has trails as well as spots to boat, fish, and water ski. Cabins and campsites mean you can make a weekend out of it. If golf is more your speed, check out Tupelo’s Bel Air Golf Course, or nearby Natchez Trace Golf Club and Big Oaks Golf Course. Or, if you’re someone who packs your running shoes wherever you go, consider registering for one of the many races happening in Tupelo weekly. You can sign up for anything from a 3K to a marathon… which will make the aforementioned best burger in the country that much more well deserved. 6. There’s more than just Civil War history here. You can also learn about Native American history by visiting the Chickasaw Village and Fort site along the Natchez Trace Parkway. The Chickasaw Nation, a tribe of around 2,000, roamed and hunted over a large region of Mississippi and beyond, covering vast territory despite their small numbers. In the fall, the Chickasaw Celebration pays tribute to the tribe’s history and culture with cooking, arts and crafts, stompdancing, stickball, music, and academic talks. There’s also the Tupelo Veterans Museum, a free collection of military memorabilia amassed and curated by a local enthusiast (including a document signed by Abraham Lincoln, as well as weapons, uniforms, and other items); and the Tupelo Automobile Museum, which is 120,000+ square feet of antique, classic, and collectible cars worth more than $6 million in all, featuring a Lincoln once owned by — you guessed it — the King himself. Tupelo is a fantastic place to learn about the War Between the States. Start with the Tupelo National Battlefield, where more than 20,000 soldiers fought in the Battle of Tupelo in July 1864. Then head to Mississippi’s Final Stands Civil War Center — if you’re there on the anniversary weekend (in June), you can catch a living history and reenactment of the Battle of Brice’s Crossroads. Even on a normal day, the center will keep you busy with interactive exhibits, Civil War artifacts, and a battlefield diorama. Outside, you can wander the grounds, following signage to significant locations, battle lines, and troop movements — and be happy you don’t have to march in mud and rain like the soldiers who fought here more than 150 years ago. Nothing like a little history to make you grateful for the present day.